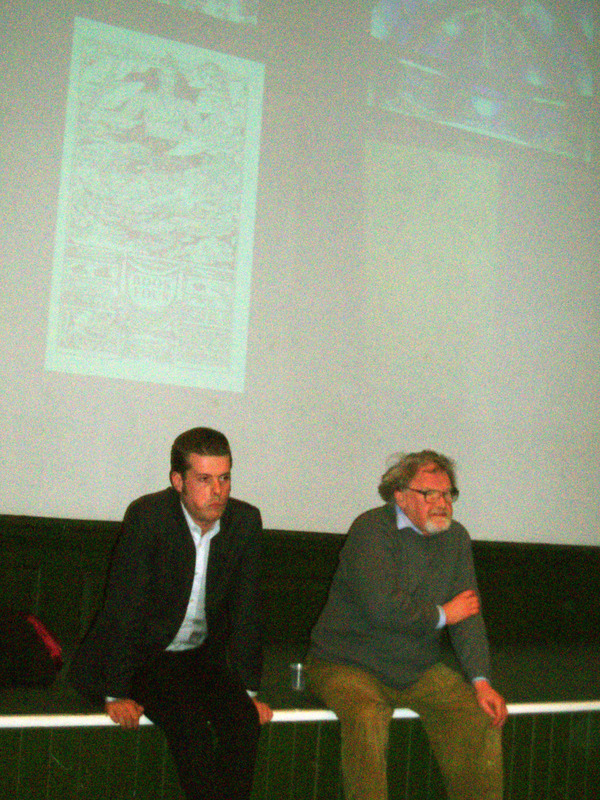 Found this photograph of me and Alasdair gray during a joint Q&A session we had with Neil Mulholland in a hall in Edinburgh College of Art to coincide with the exhibition Alasdair Gray & Stuart Murray at the embassy Gallery in Edinburgh in 2006. 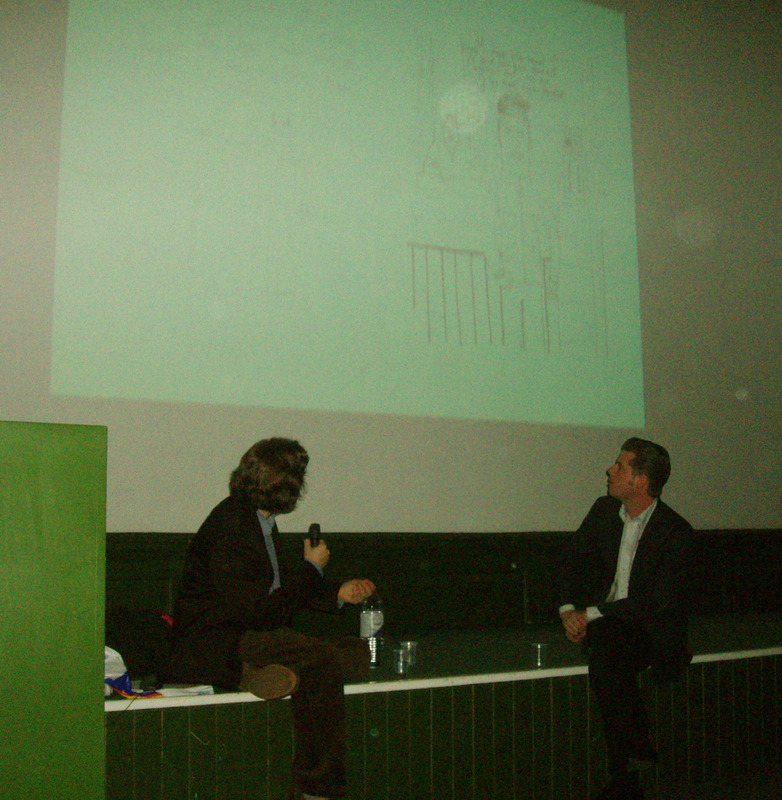 Also a photo of me and Neil during the same event. It was a good event and well attended. I remember that the shirt I am wearing in the photos was purchased on the way to Queen Street Station and changed into fresh out the packet in the train’s toilet, probably roundabout Croy. Aparently you can get a dvd of this talk from the ECA library, but I’ve never watched it.